I love Fall. It's my favorite season of all with its wonderful textures and rich, earthy colors. If I had my way I would use them year round. I love the vibrant oranges, mazes, and rusts and the textures of sweaters, corduroy, fleece, and wool. And who can resist a beautiful plaid or a wonderful paisley print for fall? They just make a room so cozy when the chill of fall evenings start. One of those being my favorite color - blue. I use blue as an accent color in every room of our house year round. So, blending it in with the colors of fall is a given for me. I love to see how the yellows and oranges play off the shades of blue - so vibrant and pretty. 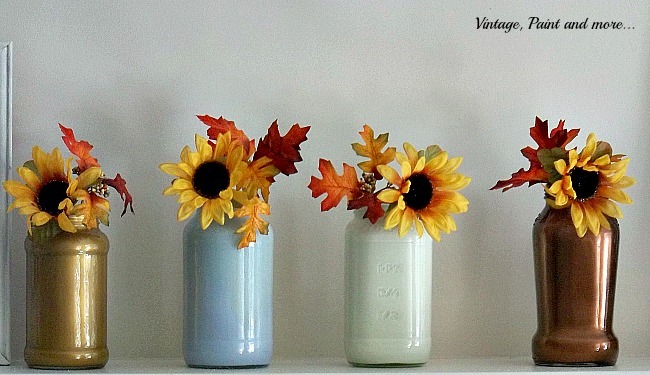 I also like to mix in pretty metallics from time to time - love how the bronze, gold, and copper of the jars enhance the yellow of the sunflowers. 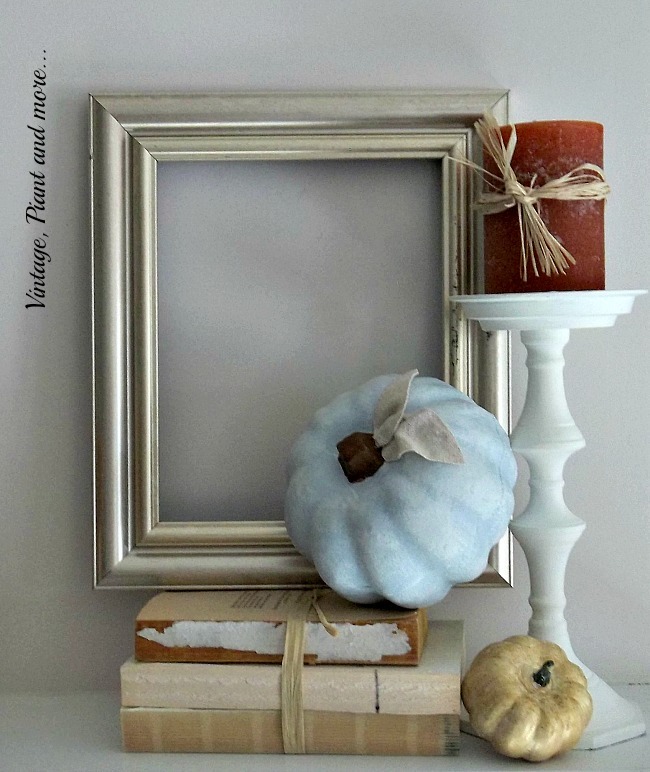 Sometimes I like to add just a bit of whimsy in my decor - like this little black and white vignette. If you look closely you'll notice there's also a gold metallic pumpkin here and bits of orange and yellow in the leaves to add just another dimension to the setting. But most of the time I use the traditional colors of fall. They bring such happiness and energy to a space. This year I think I will be using these traditional colors along with some non-traditional colors mixed in. I love playing with unexpected colors. Can't wait to get started putting these great colors and textures together. 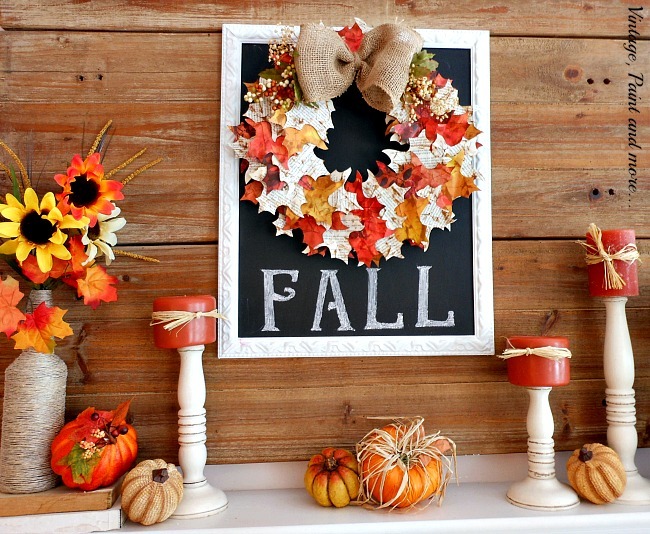 Is it too early for you to start thinking Fall or have you already begun your decor and projects? I love hearing from you all so tell me what you've been up to in the comments below. Until next time - have a great week and create something you love. I will be linking up to the parties found on the Where I Party page. 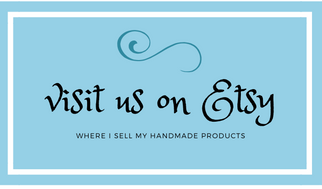 Please visit them as you will find so much inspiration and so many great projects. How lovely! Thanks for coming to our party. I am the admin of Wonderful Wednesday Blog Hop ... suffering a little blog glitch ... and Marilyn has been an angel to help me out. Found you at the party on her site Marilyn's Treats! Just love your designs and also the pro-images. You do a great job with a camera! Thank you so much, Sinea. And thank you for stopping by. Thank you, Jodie. Would love to join your party. 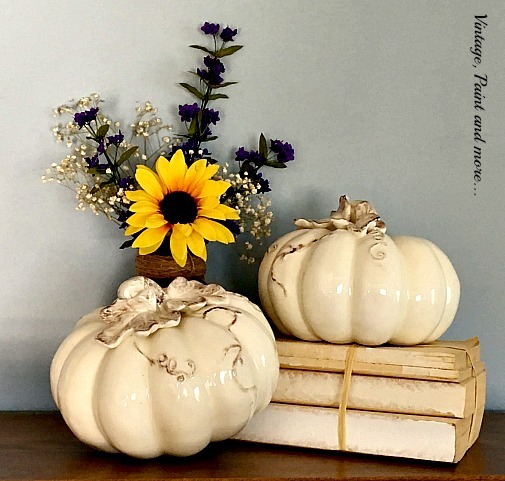 Your fall vignettes are lovely! Pretty colors and combinations of decorative items. Thanks for the autumn inspiration. Thank you, Carol. Won't be long now and it will be here. 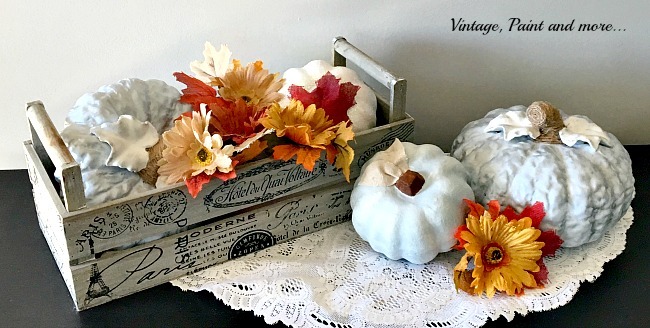 I love using blue in my fall arrangements. Let me know it you do and how you like it. Everything looks so nice, love it! I saw your post linked at the BRAG ABOUT IT LINK PARTY #33-17! Saved it on Pinterest. I am amazed at your creativity of color and putting each scene together. It is just beautiful Cathy. Thank you so much, Kathleen. And, thank you for stopping by. 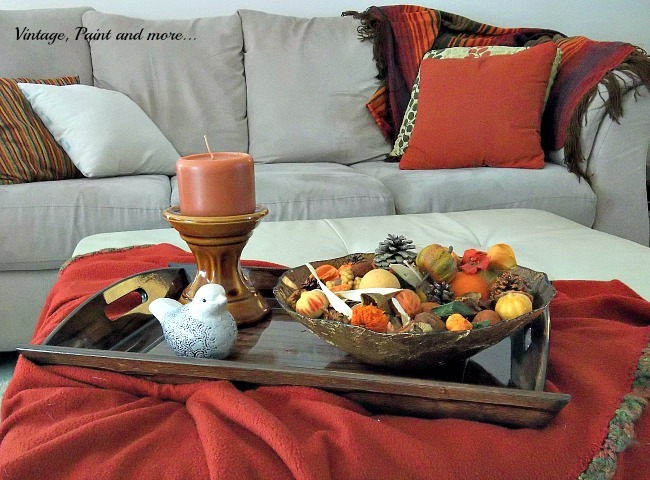 Your fall accents are so lovely! 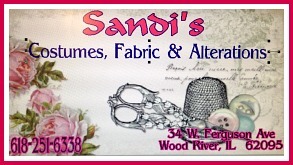 Thank you for sharing @ Vintage Charm--pinned! 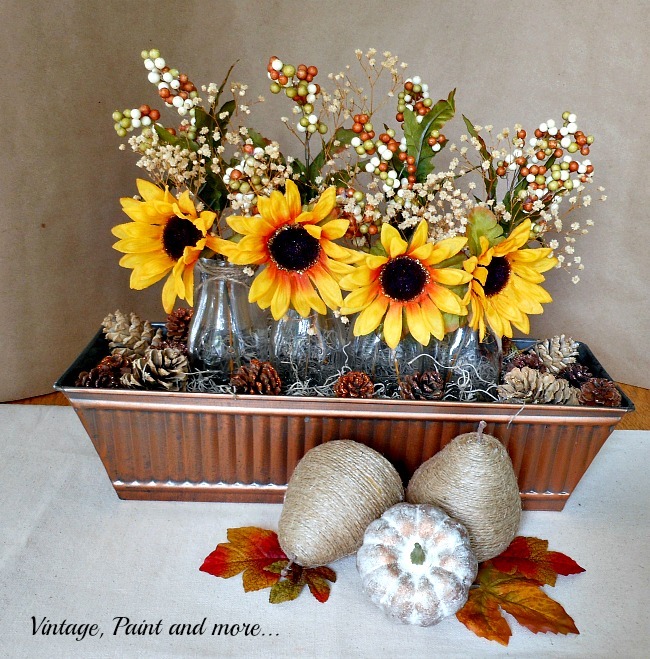 Beautiful fall displays Cathy! I love a bit of blue too. Thanks for sharing with SYC. Thank you, Jann. I love adding blue in with the fall colors - gives it just a little pop. 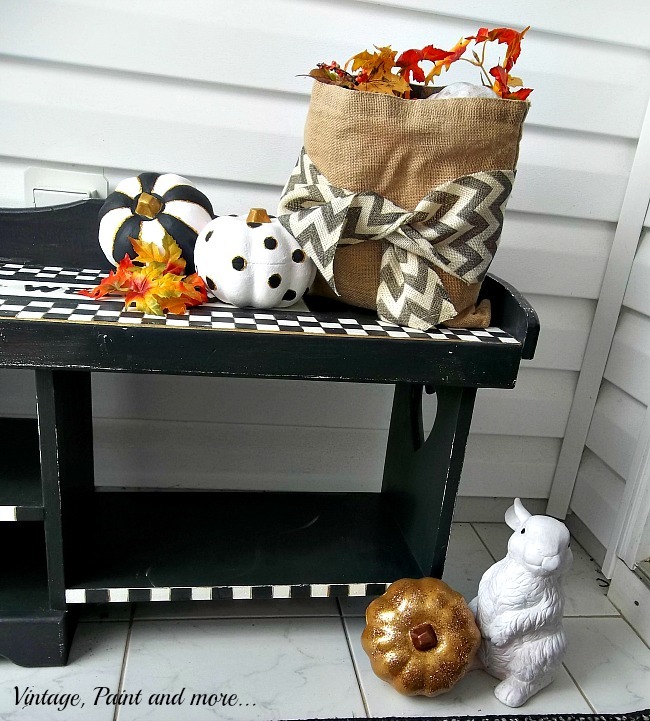 Love you fall displays Cathy. We're just getting ready for Spring here in South Africa so right now all I'm thinking about is pretty pastels and happy sunshine colors. Oh, I love pastels and spring. Thank you for stopping by. I love the colors of fall! Thanks for sharing at Home Sweet Home! I love the traditional fall colors, but I also enjoying mixing in some blues and greens, too. I'm just now in the thinking about stage. 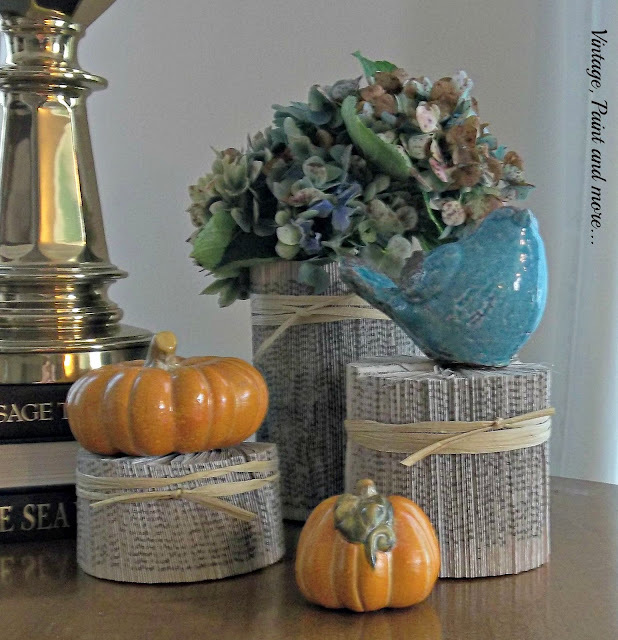 It's time to get started with some fall planning. Thanks for sharing your ideas with us at Snickerdoodle. I'm featuring this as our Snickerdoodle Special at tomorrow's party. Hope to see you there, Cathy.